Cryptocurrency has gotten a pretty bad reputation in the media. Most of the attention has been, understandably, focused on the more sensational aspects of blockchain and cryptocurrency. Over the years, almost all of the coverage on cryptocurrency in particular has been focused on the meteoric rise (and fall) of Bitcoin, without any mention of other currencies, security breaches, and individuals being hacked and losing millions. Through only this information, it would be easy to get the perception that cryptocurrency is an incredibly unsecure landscape, with people and companies being hacked daily. Nothing could be farther than the truth. In truth, the number of people who have lost considerable amounts of cryptocurrencies are relatively small in number (meaning, there are a limited number of people who have a million dollars to invest; let alone those who have enough to invest over a million in crypto); certainly in relation to the total number of users within the crypto landscape. The number of companies or exchanges who have been hacked or compromised are also fairly small in numbers relative to the number of exchanges that exist. While the instances of an individual being targeted by a hacker are incredibly small, as the crypto market grows, so will the chance that you could be compromised in a variety of ways. 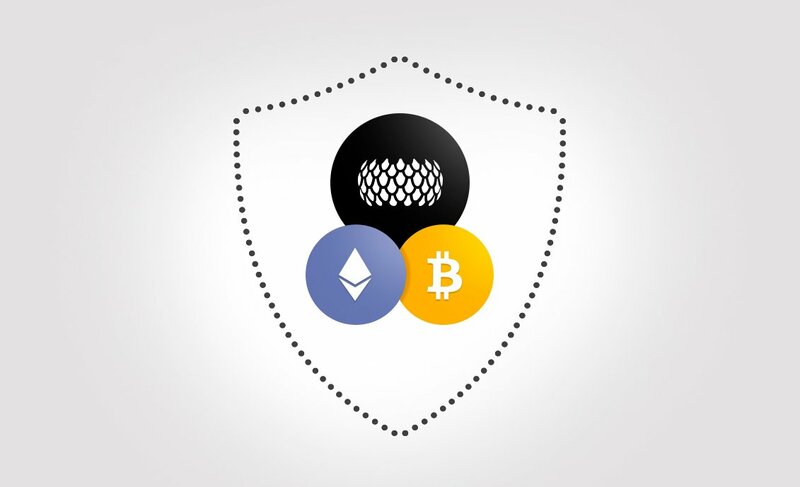 Here are 3 simple and easy ways to keep your cryptocurrency securely safe and sound. Before you click on a link, it’s incredibly important to make sure the link is authentic, and you’re not being re-directed to a malicious 3rd party. Before you confirm a transaction, it’s necessary to double check the wallet address where you want to send your crypto, and ensure it matches the address where the crypto is actually going. It’s important to protect your private key in the most secure way possible. It would be advisable to store crypto on a hardware wallet, where the access to your wallet’s private key from malicious actors is severely limited. Almost every single wallet requires you to connect to or connect through a 3rd party unsecured device. In this context, unsecure isn’t referring to the lack of security, but rather the lack of oversight for the wallet or the wallet software for the medium through which the wallet is being accessed. Simply put, the most secure wallet in the world can be hacked through a keylogger on the computer you connect it to or access it through. So don’t go browsing illicit sites, or downloading unknown software – these could infect your computer with malware or viruses which could corrupt the integrity of secure systems. Understanding the importance of securing users’ private keys, SIRIN LABS created FINNEY™, the first-of-its-kind blockchain smartphone with an embedded cold storage wallet, and multi-layer cyber security suite.